It’s not too often that you find national news related to the HVAC industry popping up here in the Charlotte NC area. After all, the worse that usually makes the local news is related to air conditioner theft for the value of the scrap copper inside. That changed this week with a press release we spotted about the rising problem of Insurance fraud, as it relates to your home HVAC system. According to the article, homeowners in the Charlotte area are at risk of being taken advantage of by heating and air conditioning repair companies they may trust, and most of the time, they just go along with the recommendation, not knowing any better. I know several contractors and technicians in this area personally, and after reading the article, I was surprised by such a blanket statement being made in the press release… as it paints a picture of distrust and guilt across the industry, and claims that it happens on a daily basis! We have put out a feeler request to several local companies asking their opinion on this. We will update as we receive feedback. Along with the more obvious reasons above, there are likely several others we didn’t think of. We hope that if you have had a recent insurance claim that involved your home HVAC system, you share the reason with everyone below. From what we can tell, HVAC Investigators, a nationwide network of service technicians based in Charlotte, is putting itself in the middle of the insurance claim process. Working as an intermediary between the insurance companies, homeowners and HVAC contractors, while leaning toward protecting the insurance companies first. HVACi is like insurance for insurance companies…we protect your organization from fraudulent claims to help you settle faster, without impacting the customer experience. HVACi is committed to providing accurate, timely, and fact based reports. Our 8 page assessments furnish detailed summaries of what was the damaged, how it was damaged, and whether or not the equipment can be repaired…and at what cost. 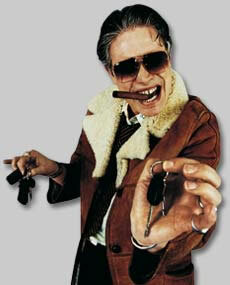 Its clear to see that HVACi is in the business of preventing fraud against the insurance companies. The next questions that arise are surrounding the impact on homeowners who can easily become confused during the process of a repair or replacement claim. After all, when your lifetime trusted heating and air guy tells you that in their professional opinion, the entire unit needs to be replaced, then your insurance company sends out a representative of their own who comes back and says they will only pay for a circuit board… where does that leave the homeowner? Lets assume for the sake of this example that lightning strikes your home HVAC system in a bad storm. the first thing you usually do is call out your trusted HVAC repair company in Charlotte to diagnose the system and help you get it fixed. During the inspection, the technician discovers that the main circuit breaker, electrical wiring, the main circuit board on the unit itself and possibly several other components, inside and outside, are inoperable due to the lightning strike. The challenge for Charlotte HVAC contractors is that until each of these items is replaced individually, they have very few ways to tell what other parts may have been damaged along the way. After all, how can anyone know if the compressor was damaged, when the unit wont run until the other parts are replaced? In addition, what if the parts are replaced under an insurance claim, and 30 days later, the compressor fails? Was it due to the lightning strike? Who is responsible for the repair now? Have You Filed or Been Denied An HVAC Insurance Claim? What happened in your situation? Please share your own personal experiences below. We’re interested to hear about how all sides of the equation handled the claim. Me an wy wife just recently bought our first home. When the inspector came out he noted AC damage. We discussed this with current homeowner and decided they would give set amount of money to cover any minor damages throughout house. After getting through the whole moving ordeal and getting our new home in order as far as putting all our stuff where it goes. We decided next step repair minor damages. We noticed the split ac unit in attic was rusted almost all way through. All wiring and mechanical components were completely rusted through. We contacted home owner insurance and they sent HVAC tech out. He sait nothing major just clogged condensate line. I told him I believed that was the initial problem, but look at what damage that problem caused. It was like domino effect one think goes bad it affects another then another etc….. I told him it was still under warranty and that I would like it replaced. He argued that it didn’t, but I had couple HVAC techs look at it that I trusted and all said same thing. It needs replaced or it is goin to fall apart soon. And it could possibly weaken the metal and cause gas leak and carbon monoxide. The service tech that insurance company sent over kept disagreeing. That was the first red flag. What HVAC tech is goin to turn down opportunity to make more money by replacing unit verse cleaning a little drain pipe. The question I have, is it possible that home owner insurance and HVAC company have something goin wher the service tech just does minor repairs just to appease customer and temporarily fix problem in order to save homeowner insurance money in return for steady supply of referrals from insurance company. If u spend 15 min at customer house and charge small amount and have alot of jobs like that per day you can make quite a bit of money and not work as hard. I think that is what is being done to me. Any suggestions or comments would be greatly appreciated. 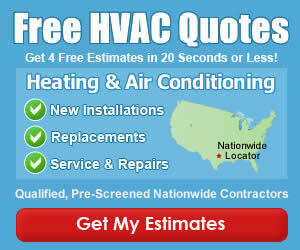 I am a Florida licensed HVAC contractor in the central Florida area. During my time in the trade I have worked for companies that investigate A/C claims for insurance companies. Unfortunately there is a large amount of fraud that goes on. Often we had to pick the units up from a contractor after the unit had already been replaced. The unsuspecting homeowner didn’t realize the insurance company has the right to assess the equipment, & went ahead and had it replaced based on what their contractor had told them. Many times there was nothing more than a loose wire, or a minor electrical part that had failed, resulting in the insurance company refusing to pay on the claim. I am not a fan of insurance companies, but after working w/ them in the field, I understand the gravity of their situation. We have a lot of lightning in this area, & there are some legitimate claims, but the majority (at least it was my experience) had nothing to do w/ lightning or power surges at least not to the point where the unit needed replacing. In you’re case I don’t see how that could be the problem of the homeowners insurance. If the problem was found during a home inspection before you closed, & you went ahead and closed anyway, that should not be their problem (maybe I misunderstood your situation). As far as money from the insurance companies, it was nothing spectacular. We did/could not make any repairs to any claims we looked at, as it may be a conflict of interest. We could put minor parts on to make sure it ran ok, but they came back off at the end of the job. Basically just a flat fee for an honest opinion. The best advice I can give, is if you are ever in a situation where you are considering a claim for your A/C, contact your insurance provider BEFORE you have it replaced. If the unit was replaced when it could have been repaired, they likely will not pay for it. And if they cannot recover the equipment from the company that replaced it, most of them will not pay. They have the right of inspection before they write that check.